NYCB Has Officially Started Its Search for a New Leader. Here's What We Know So Far. New York City Ballet dancers will be led by the interim leadership team for at least several more months. Here, the company in Justin Peck's The Times Are Racing. Photo by Paul Kolnik, Courtesy NYCB. 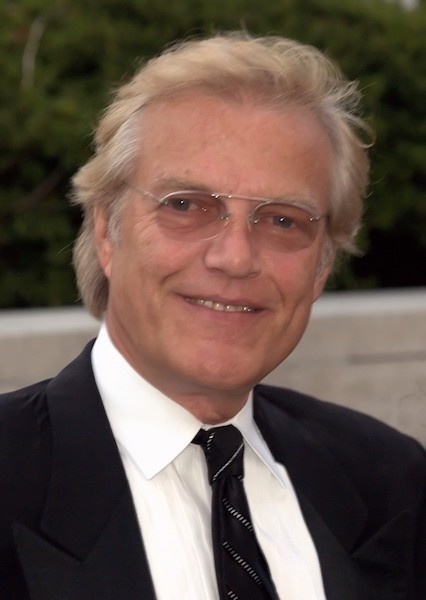 Since December an interim artistic leadership team has been guiding New York City Ballet, and in January, Peter Martins officially resigned. But only now has the search for Martins' permanent replacement begun. Here's what we know about how the process will unfold. On Monday, a town hall-style meeting was held, allowing company members to weigh in on what they want from future leadership. The New York Times reports that this was the first of a series of conversations in the search committee's "listening tour." (The committee consists of seven voices from NYCB's board and six from the affiliated School of American Ballet's board.) More dancers, along with NYCB staff, donors and board members, are expected to offer their thoughts at future events. The dancers will give their input during the first phase of the search. Photo by Paul Kolnik, Courtesy NYCB. The town halls aren't the only option for current company members: Dancers are also welcome to express their thoughts privately and anonymously. Hopefully, this extra option will mean that the artists are comfortable to speak freely. Recruitment firm Phillips Oppenheim has been enlisted by the committee, and this move signals that the search will not be purely insular. The firm has prior experience with arts organizations, and its clients include the Saratoga Performing Arts Center (where NYCB performs each summer), The Washington Ballet and Chicago's Harris Theater for Music and Dance. The new artistic director of NYCB will also lead its school. Photo by Rosalie O'Connor, Courtesy SAB. Dancers, critics and fans alike have speculated if NYCB might decide to break the position into multiple roles, divvying up duties for directing the school and company amongst several people. According to the same Times article, that's not going to happen. The boards at NYCB and SAB decided more than a decade ago that its next successor would remain in charge of both. Choosing an artistic leader is a multi-phase process (so hang in there, interim team). After the meetings within the company, the committee will turn to the larger ballet world: They want to hear from notable ballet figures, those involved with George Balanchine's and Jerome Robbins' trusts, and, yes, even Peter Martins. Prospective candidates will not be interviewed until this fall at the very earliest. Afterwards, the chosen candidate must go through a round of approvals: by the entire search committee and then by the boards of both NYCB and SAB. Martins will be involved in the search for his successor. Photo by Adam Shankbone, Courtesy Wikimedia Commons. While Martins resigned amidst allegations of sexual harassment and physical and verbal abuse, an investigation did not corroborate these claims. Despite the tarnished relationship between Martins, NYCB and SAB, it does make sense to include him in this process. He stood at the helm of NYCB for 35 years, so he's more in touch with the position and the inner-workings of the company than anyone else. Finding a new leader is a monumental decision for any dance organization, but given NYCB's status as one of the country's most foremost ballet companies, this appointment isn't going to be made hastily. The successor will only follow Balanchine (who was in place for 35 years), Robbins (who co-led with Martins at the beginning of his tenure) and Martins himself. While we're admittedly anxious to know who will be next, there's a lot at stake, so we prefer that the new leader be well worth the wait.